If you are looking for Cheap Softball Gifts to Moderately priced Personalized Softball Gifts, Zazzle Designer Little Linda Pinda would love to HELP you at no extra cost. 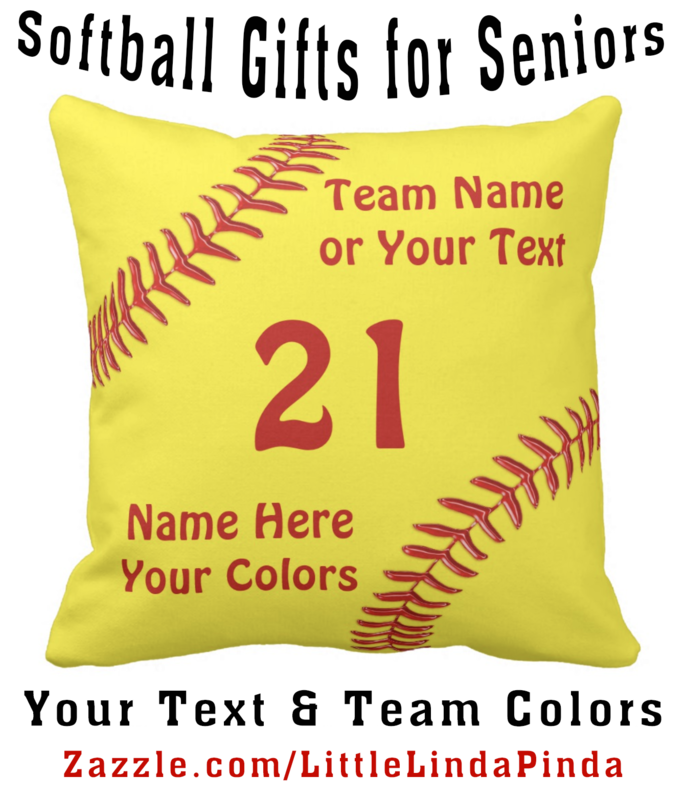 You, or Designer Linda: 239-949-9090 can CHANGE the Background Colors and Text on most of our Softball Gifts for Seniors, the entire softball team gifts or for softball Christmas gifts for your special player. *** See FAST TIME Saving Tip Below to Personalized for MULTIPLE Players. Personalize ONE softball gift at a time. Type in the First player’s name, number, year, team name or your text or delete, into each of the Text Box Templates. Click the “Customize further” Link below all the text box templates (when personalizing on a Computer). CLICK on a tiny Color Box and or CLICK “COLOR PICKER” and use the two part COLOR Slider Tools to get YOUR TEAM COLORS. Click Click the “Customize further” Link below all the text box templates (when personalizing on a Computer). CLICK on Each of the TEXT you wish to Change. This will put a dashed Box around the Text. Below the Design Area: Click on the Tiny “COLOR BOX” Below the Design Area. CLICK one of the many tiny COLOR BOXES or CLICK “COLOR PICKER” to use the cool 2 Part COLOR SLIDER TOOL. CLICK on the Small Image of the Softball gift. Now you Only need to CHANGE the softball player’s NAME and NUMBER or whatever you wish. 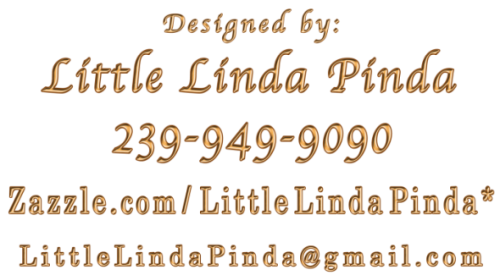 CALL or TEXT me, Zazzle Designer Little Linda Pinda to HELP you make Changes, Personalizing it or Ordering questions and help.